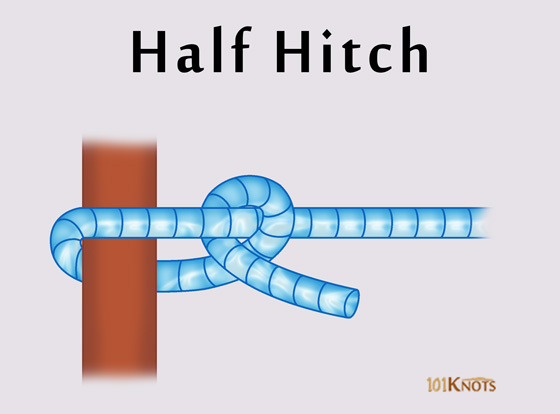 What Is A Half Hitch Knot? It is basically an overhand knot with the working end brought over and under the standing part. Though it is insecure by itself, it forms the basis of many other reliable knots. It may be used for decorative purposes as in French whipping. The quick release knot has an ancient origin and is described in The Ashley Book of Knots. The overhand and single half hitch knots have different appearances and the latter necessarily requires a support for the initial loop to be made. 2 half hitches or double half hitch – Stronger. Consists of an overhand knot followed by a half hitch knot. 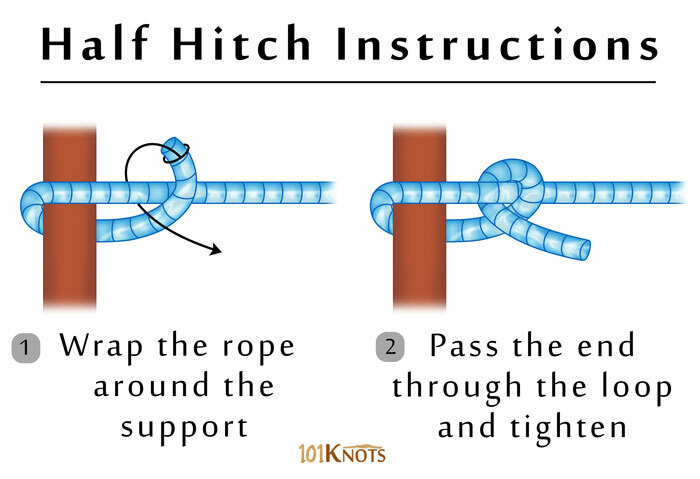 Slippery half hitch – A bight of rope is passed through the loop instead of an end. It prevents jamming. Apart from the above, the vertical, horizontal, alternative (chain stitch) and spiral half hitches are unique variations used in macramé patterns. Fishing with bait (can be used on pilchards, squid, prawns, etc.). Fly tying in fly fishing. Making paracord survival bracelets, can koozies (sometimes in a slightly modified form). In beading and jewelry (like necklace) making. Casting on stitches in knitting. Pulling of wire by electricians. Making dream catchers, yarn buckles, friendship bracelets. Forms parts of the cleat, clove, cow, timber, rolling hitches among others. An easier alternative to the square knot for tying sutures in surgery.